FLAC has very huge limitations on compatibility when it comes to playing on mobile devices. The only solution to that is converting to a standard format like MP4. Software programs for this accomplishment are available for free and their tutorials are pretty simple. After downloading one, you should install it to your computer and launch then add files to convert. It is a very straightforward process that should give you minimal challenges. Keep reading this article to get detailed guide on how to convert FLAC to MP4. Part 3. Can Flac Files be Added to iTunes? If you are out there looking for a convertor to guarantee your converted files high quality and high speeds, iSkysoft Video Converter Ultimate will definitely be the right choice to settle for. It has speeds triple than normal and depending on the number of files you are working on, minimal time will be taken. Furthermore, it supports popular formats for HD videos, standard videos, audio and online videos. The compatibility rate of iSkysoft Video Converter Ultimate is way beyond rebuke. It handles conversions for different types of video formats for playing and editing as well as sharing with friends. Converts at speeds of 90X, taking a few seconds generally. You can edit video before converting, like cropping, trimming video, or addding effect, music, subtitle and more to video. Maintains full quality as the original quality. Supports burning video to DVD, and music to CD. Compatible with macOS 10.14 Mojave and any earlier versions, Windows 10 and earliers. This will only take 3 steps to convert FLAC to MP4 on Mac or Windows. But to start the conversion, please download and install iSkysoft FLAC to MP4 converter on your computer. Please click "Free Download" buttons below to proceed. Open it and now let's begin. Whether its video or audio files, you can drag and drop them to iSkysoft video converter. The second option of clicking “+ Add File” to browse files on your computer. Both options allow batch conversion. Now choose MP4 from the Video tab. If you select "The same as source", it will keep the same quality as the original one. Follow the click-step in the screenshot below. When you click “Convert”, the files will be converted at very high speeds. After a few seconds, you can find the FLAC files in MP4 format from the "Converted" tab. Wondershare media.io is a useful option for converting FLAC to MP4 online free. Media.io shares compatibility with 1000+ file formats inclusive of MP4, WAV, MOV, MP3 files easily. It ensures to render fastest conversion as well. Import the files by clicking on ‘+’ button. For two files, you can use ‘Add more files’. Choose ‘MP4’located near the ‘Convert to:’ option. To kick-start conversion, hit ‘Convert’ option. Once the file gets converted, tap the download icon. Not supporting multiple file conversion – The process of converting multiple files is certainly not supported by online converters. Requirement of Strong Internet Connection – It is mandatory to process files conversion by making use of internet. There is no provision for converting files offline. Inability of processing larger files – Online converters do not facilitate users for processing bigger files. If you are looking for a professional converter, please turn to iSkysoft in Part 1. Users can look Coolutils option that can drive out MP4 format from FLAC input file. Having a customer-friendly interface and commendable features, Coolutils can fetch you the output easily. 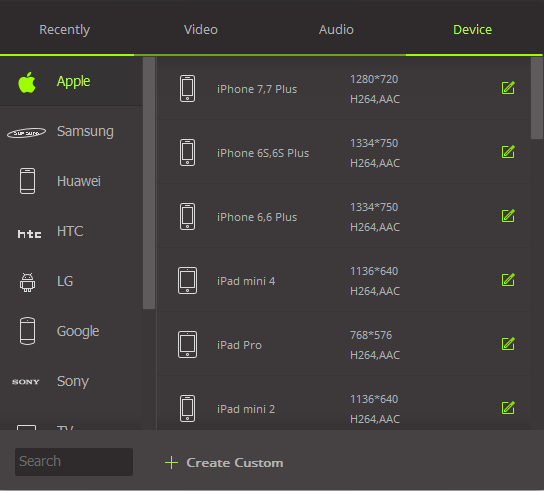 It friendly supports an array of formats such as MP3, MPC, MP4, CDA, CUE, AAC and AMR files respectively. Import files to the program by tapping on ‘Select Files’. Choose the desired format, set bitrate, channels, Samplerate accordingly. Fetch your file by hitting the ‘Download Converted File’. 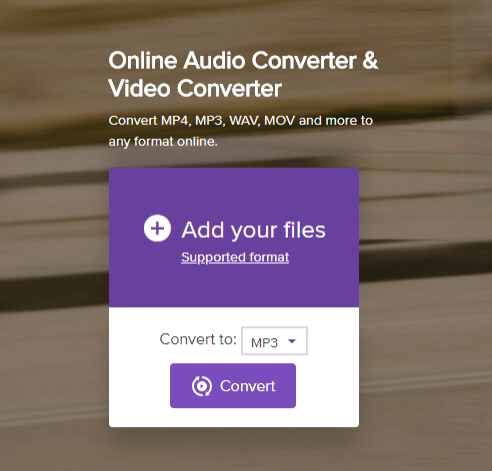 Online audio converter is also a great option to convert files popular file and formats. Hence, there is also an ease of converting FLAC files to MP4. Moreover, it facilitates users to extract audio from the video file. Visit https://online-audio-converter.com/ and hit the ‘Open Files’. Browse for the file. Now, slide in the bar to fetch size of the file. After marking the due settings, hit the ‘Convert’ button. The FLAC files are an audio file compressed in the Free Lossless Audio Codec (FLAC) format .It shares similarities with .MP3 file but the former is one compressed without denting the quality of loss or original audio data. 2. Can FLAC files be added to iTunes? In a broader sense, the FLAC files might stretch compatibility with a number of operating systems, applications or software but fails to do so with iTunes. Therefore, if you intend to tune to the software, it is crucial to transform the FLAC files to Apple Lossless or the ALAC (Apple Lossless Audio Codec). Only then, the file can be added to the iTunes library. MP3 is a universal audio format that is used in today’s time. While, it’s a lossy format as the compression vanishes the source’s actual data. To some extent, the FLAC files shares similarity with the MP3 files. But, in case of FLAC files, the quality of the files is not lost at the time of compression.